Three times Olympic Games silver medallists Sweden and defending Olympic champions France face each other in the men’s handball final on Sunday in the Basketball Arena. Sweden beat Hungary in their nail-biting semi-final on Friday 27-26, later France won the top gun duel against Croatia 25-22 thanks to a world class performance from goalkeeper Thierry Omeyer (FRA). Just as in the women’s handball final on Saturday (Norway v Montenegro) the defending champions have it in their hands to win their next gold medal. Hungary and Croatia compete in the men’s bronze medal match. Staffan Olsson and Ola Lindgren find themselves in their fourth Olympic men’s handball final, but this one is different – it us their first as coaches. The Swedish coaching duo hope to break the curse after their current team beat Hungary in a thrilling semi-final on Friday, 27-26 (15-12). Both coaches were members of the Swedish squad, which contested three consecutive Olympic finals in 1992, 1996 and 2000, but went home with silver on all three occasions. 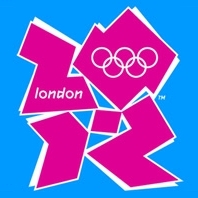 Sweden will face either France or Croatia in the London 2012 Olympic Games men's handball final on Sunday (12 August) at the Basketball Arena, while Hungary compete for the bronze medal against the loser of that second semi-final. The top scorers in a nail-biting match, which was close to going into extra-time, were Niclas Ekberg with six goals and Gabor Csaszar with eight goals. Surprisingly, both teams did not start with the goalkeepers who had been integral to their teams reaching the semi-final. Sweden substituted Johan Sjostrand with Mathias Andersson and Roland Mikler played for Hungary instead of Nandor Fazekas in the first half. Out of the two, Andersson in particular showed some class with important Saves. However, his team was behind in the starting period, but gradually started improving minute-by-minute and had their best spell when they were a man short thanks to three two-minute suspensions in the first half. Scoring four goals during the periods with one player less on court meant a psychological advantage and led to a deserved 15-12 half time result. Ekberg and his teammates continued in the fast lane at the start of the second half. Thanks to their smooth counter-attacking moves, the Scandinavians controlled this period. But led by Fazekas, who returned to the goal after the break, and the goals of Csaszar, Hungary caught up to trail 24-23 in the 52nd minute, forcing the Swedish coaches to take a time-out. The match was on edge, with both teams becoming nervous in attack and missing a number of 100% chances. Hungary were close to equalising on several occasions, but were foiled by Andersson, as the Scandinavians tried to tie up the match. 21 seconds before the end, Kim Ekdahl Du Rietz (Swe) hit the net to make it 27-25 for his side but after Ferenc Ilyes reduced the difference to just one goal, Sweden had a nervous few final seconds before the biggest success since their European championship title in 2002 was confirmed. Coach Staffan Olsson (SWE): "I am almost speechless right now and my head cannot take in what has happened. This is such a great result and performance for the team and the country. "It means so much for us to reach the final here in London. We had targeted the quarter-finals and then the semi-finals. Now we are in the final and have at least a silver medal waiting. But it would be wonderful to turn it into gold. "The quarter-final win was very emotional and exciting and this win over Hungary was the same. It could have gone either way near the end. Fortunately, we came out on top and it feels wonderful. We are not chanceless in the final. Whoever we play it will be a tough game. But this game with Hungary was tough and we showed what a good team we are. I have real faith and belief in this team. It has real fright and desire to succeed." Coach Lajos Mocsai (HUN): "We were really slow in the first half, and the team lost their stamina. We missed so many goals in the first half and in the second half we changed our defence, but unfortunately it wasn't enough. We missed three shots in the last three minutes and those three goals could've changed the whole game and we could've gone through." Like at the Beijing 2008 Olympic Games, France made it to the final of the London 2012 men's handball competition after beating Croatia in the semi-final. Standing in the Croatian's way to gold medal glory in their 25-22 (12-10) defeat was French goalkeeper Thierry Omeyer, who saved an incredible 19 shots. France, the defending Olympic champions, will face Sweden in the final on Sunday (12 August), after Croatia go for the bronze medal against Hungary with both games taking place in the Basketball Arena. In 2008 the Croatians missed the bronze medal after a defeat against Spain. For them, it was the fourth straight defeat in an important match against France after losing the 2008 Olympic semif-inal and the finals of the 2009 World Championship and the 2010 European Championship. Croatia started poorly in attack and scored just one goal from their first ten shots, this weak statistic easily attributed to Omeyer, who showed a world class performance by saving 13 times in the first half, including the first seven Croatian shots. In the end the 1996 and 2004 Olympic champions needed 28 shots to score 10 goals in the break against their successor on the Olympic throne, led by brilliant right wing Zlatko Horvat, who hit the net five times in 30 minutes, and the inspiring ideas of Ivano Balic. Thanks to Omeyer, France extended the gap to 5-1, but then failed to outdistance their opponent. Despite a great show from Nikola Karabatic and Luc Abalao the margin was only two goals at the end of the first half at 12-10. But like in the quarter-final, France could count on their replacement player William Accambray. Again the left back arrived on the court after the break and started with a triple strike to keep his team in lead 15-13. Boosted by the thousands of French spectators among the 12,000 inside the Basketball Arena, Omeyer was back on track. His saves enabled his team to go ahead intermediately with five goals in the middle of the second half. The Croatian resistance still was not broken though they were losing much more energy in their struggle to catch up than the defending champions. Four minutes before the end, they were still in reach, being below with three goals. But when Samuel Honrubia scored to make it 25-20, France had sealed their final spot. Player Nikola Karabatic (FRA): "We defended like dogs. We were not so good in attack and missed many goal chances but our defence was outstanding. We did not stop and our goalkeeper Thierry Omeyer was at his very best tonight. "We have come here to try and win a second successive Olympic gold medal and we are in the final, just one step away from achieving that ambition. It was always going to be very tough and close against Croatia. They are a well organised and difficult team to play but we got a very quick start and always felt we could keep the lead and win. "The final against Sweden will be a tough game as well but we know them well. We know how they play, and it will be another great but difficult contest. We will take them as seriously as we took Croatia and all the other teams we play. But, of course, we believe we have a very good chance of winning the final and another gold. That's why we are here fighting." Player Blazenko Lackovic (CRO): “We played weak in attack, but still we had the chances to turn the match. But Thierry Omeyer had a perfect day, and when you have to play against a wall like him, it is always hard to score. We did not play that badly, but we missed too many chances and could not find our usual rhythm. It is really tough to be out after six victories and only one defeat, and it will tough to get our heads up high in only two days. But we showed it in Serbia in January, that we are able to win a bronze final after a bitter semi-final defeat.